There are presently 4 Ash Trays in the museum. 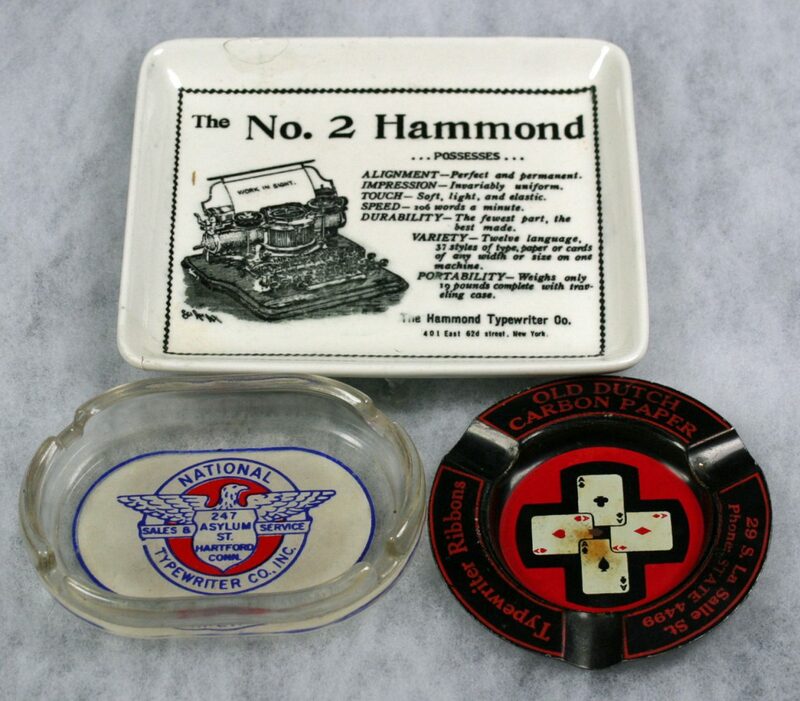 The Hammond is a modern made up tray. The other 3 are National Typewriter Co., Smith-Corona and Old Dutch. Three mediums are used: ceramic, glass and tin.